Since moving to a metropolitan city chock full of auspicious professionals with booming careers, this is a question I have come to loathe. It is at this point in the conversation where I attempt to fantastically buff up my simple hostess/retail/insert-entry-level-job position to sound elaborate and professional like I did on my LinkedIn profile. Why? Because in this world, what we do between 9:00 am and 5:00 pm on weekdays defines us. How we pay bills translates to how we rank on society’s intrinsic value system. 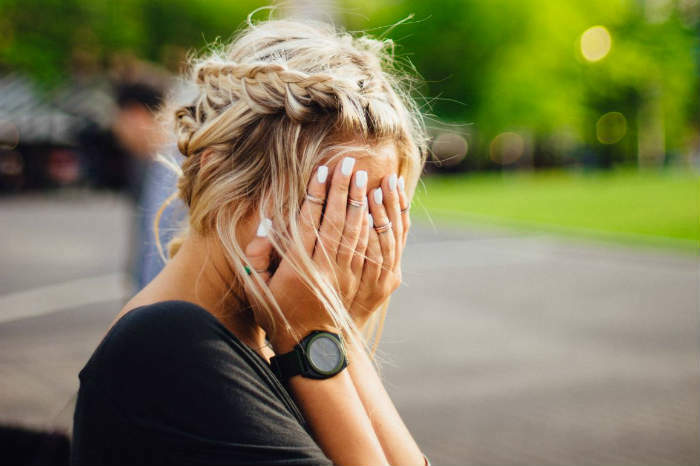 And if you’re anything like me–a recent graduate at the dead bottom of the workforce totem pole–we often answer such a question with masked shame as if being a nanny or a server or an intern is something to be embarrassed by. This general question of “what do you do” usually prompts us to sell ourselves short. Truthfully, in your twenties ‘what you do’ and ‘what you do for a living’ may be entirely different, and it is 100% okay to let the former define you. I am a writer, because that is what I like to do and it is what I do best. It really is as simple as that. Basing achievement off income is a dangerous perception of self-worth. Post-graduation, the career hunt is virtuously humbling yet can be incredibly discouraging. Interview after interview I gave corporate superiors the power to determine my value, although their comprehension of me was limited to a one-sided CV. I let my failures define me; if a publication told me I couldn’t write for them, I began to doubt myself as a writer. If a PR firm told me I couldn’t represent them, I came to distrust my abilities as a communicator. I allowed near strangers to tell me who I was according to what I could not do for them. For months I was floating around in a sort of condemned millennial purgatory, blindly seeking validation from some higher professional force. But not anymore. Sure, I can serve food, bartend, dog-sit or even be an Uber driver for a living. But in doing so, there is no lack; regardless of my place of employment, I am a writer, an artist and a communicator because that is how I choose to identify. We can be proud of what we do during the workday, as there is never shame in being motivated, self-sufficient and a hard worker. But who we are is always up to us as individuals, no validation necessary. I hope that someday ‘what I do’ and ‘what I do for a living’ are synchronous. Yet until then I have confidence that my abilities are paying off everyday–even if not in a literal sense. If you feel inclined to answer with your job title the next time you are faced with the big “What do you do?” question, I challenge you to hold on to those passions you know to be true of yourself; you don’t need permission to be a musician, an athlete, a philosopher, a caregiver, or even just a damn good human being.